Cipro is an antibiotic that belongs to fluoroquinolones group of drugs. It is the medication used to treat bacterial infections such as sinuses, prostate, stomach, joint, bone, skin, lower respiratory tract, and urinary tract. It can also be used to treat other bacterial conditions and infections which will be determined by your doctor. Cipro is available in oral suspension and tablets. Aside from treating the common bacterial infections, this medication is also used to treat patients who were exposed to anthrax. It works by stopping bacterial growth in the body. You should know that it only treats bacterial infections, and not viral infections such as flu or the common cold. If you misuse or use it unnecessarily, its effectiveness may decrease. Be careful when having caffeine alongside cipro because the effects of caffeine may become stronger when taking with this medication. When you take this medication, your skin can easily get sunburned when exposed to sunlight or tanning beds. Make sure to use sunscreen and wear protective clothing when going outdoors. After being in the sun, if you have severe swelling, rash, itching, redness, or burning – call your doctor immediately. You see, you may experience diarrhea when you take antibiotic medicines. This could be a sign that there’s a new infection. You need to stop taking cipro if the diarrhea becomes bloody or water, and contact your doctor right away. Also, do not take anti-diarrhea medications unless prescribed by your doctor. NOTE: If you normally do activities that require you to be alert, you should know that cipro may impair your reactions or thinking – so you need to be extra careful. It is not advisable to use cipro if you have allergies to fluoroquinolones (norfloxacin, ofloxacin, moxifloxacin, levofloxacin, and gemifloxacin, among others); or if you are taking tizanidine. If you are going through a treatment using with medication, you should know that it may cause your tendon to swell or tear, particularly in the Achilles’ tendon of the heel. Even if you stop taking it, you may still experience some tendon problems. The chances of having tendon problems increase if have had a lung, heart, or kidney transplant; if you take medications such as steroids; or if you are over 60 years old. It is important to let your doctor know if you are planning to be become pregnant or if you are pregnant while you are using cipro. 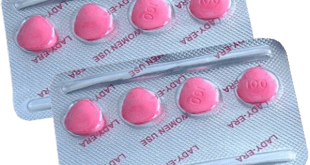 This is because it is still unknown whether or not this medication can harm an unborn baby. It has been proven, though, that this medication can be passed into breast milk. Do not breastfeed your baby if you are taking this medication. – Nonsteroidal anti-inflammatory drugs (NSAIDs) such as meloxicam, indomethacin, diclofenac, celecoxib, naproxen, ibuprofen, aspirin, and others. – Depression or mental illness treatment medication such as nortriptyline, imipramine, iloperidone, duloxetine, desipramine, clozapine, clomipramine, amitriptyline, and others. – Heart rhythm medications such as sotalol, quinidine, procainamide, dronedarone, dofetilide, disopyramide, amiodarone, and others. – Theophylline, sildenafil, ropinirole, probenecid, phenytoin, pentoxifylline, omeprazole, metoclopramide, methotrexate, cyclosporine, and others. This is not the complete list of medications to avoid when taking cipro. Always consult your doctor regarding the over-the-counter and prescription medicines that you are taking. – Make sure to follow all the directions written on the prescription label. It is not advisable to take the medication in smaller amounts, in larger amounts, or for longer than what was prescribed by your doctor. This medication is normally taken twice a day or every 12 hours. 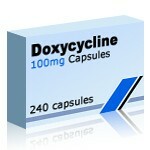 – Ciprofloxacin is ideally taken at the same time each day. Take it with a full glass of water – with or without food. Make sure to take extra glasses of water during the day when taking this medication. – It is not advisable to take this medication alongside calcium-fortified juice, yogurt, milk, or other dairy products. You are still allowed to eat these types of food as part of your regular meal. You are only discouraged to eat them alone when taking the medication because the effectivity of Cipro may lessen. – If you are going to take it in oral suspension (liquid) form, make sure to shake it for at least 15 seconds right before measuring a dose. Use a special dose-measuring medicine cup or spoon to measure the medication. You may ask you pharmacist for this measuring device if you do not have one. Do not use a feeding tube as a medium to give this oral suspension. – You may notice some beads in the liquid. Do not chew these beads, rather swallow them alongside the liquid. – Follow your doctor’s prescribed time to take this medication. Even though you may notice that your symptoms have improved before the end of the prescribed time, do not stop taking it. Improved symptoms does not directly imply that the infection is completely cleared. – Do not skip doses as it may increase the risk of being resistant to antibiotics. In addition, you should know that cipro does not treat viral infection such as flu or the common cold. 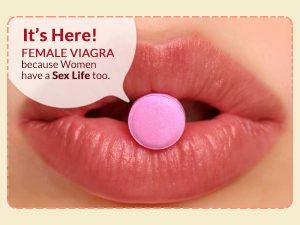 – If the medication is going to be used to treat gonorrhea, your doctor will have you go through a series of test, particularly for syphilis (a sexually transmitted disease). – Keep it away from heat and moisture, and store it at room temperature. Also, do not allow it to freeze. If unused for 14 days, throw it away. – Nerve symptoms such as being more sensitive to the sense of your body position, light touch, or temperature. These may also include burning pain, tingling, and numbness. – Tendon rupture signs such as movement problems, stiffness, tenderness, bruising, swelling, pain, or popping or snapping in your joints. The dose of medication you need to take will highly depend on the type of bacterial infection that needs to be treated. Your doctor will decide on the appropriate dosage for you. Ciprofloxacin is the active ingredient in Cipro. In the oral suspension form of the medication, the inactive ingredients are: Polysorbate 20. Diluent–medium-chain triglycerides, magnesium stearate, hypromellose, methacrylic acid copolymer, povidone, microcapsules of ciprofloxacin, lecithin, sucrose, strawberry flavor, and water. On the other hand, in the tablet form of the medication, the inactive ingredients are polyethylene glycol, titanium dioxide, hypromellose, magnesium stearate, crospovidone, silicon dioxide, microcrystalline cellulose, and cornstarch.